Are you interested in sporty hatch like the nimble Fabia S? Or perhaps you’re keen to get behind the wheel of the more demanding Kodiaq SE SUV; there’s a wide range of pre-owned cars for you to test drive at Motor Connect Ltd (Northwich), Northwich. 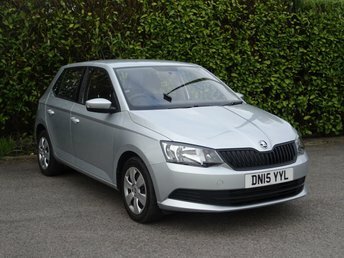 We are the leading supplier of used Skoda cars in Northwich, and with many used Skoda cars for sale, finding a model within your budget should be easy! Call our friendly admin team for details on our latest stock, or head on over to our site in Northwich today. With more than a century of designing and building vehicles, Skoda has a reputation as one of the industry’s favourite car makers thanks to the likes of the new Superb estate and Koroq SUV options. The company’s range of vehicles are driven by those who are driven by something different to the average motorist.